Listen to "Bible (ASV) 20: Proverbs" on your iOS and Android device. 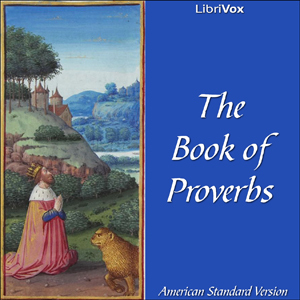 Proverbs, a book of the Old Testament, is a collection of pithy Biblical sayings. It is wisdom literature by multiple authors, including Solomon. Throughout the book, Lady Wisdom and Lady Folly struggle to get the attention of the simple, leading them to glory or disgrace.